Uber is offering free rides on self-driving cars by Volvo in the streets of Pittsburgh. Even though users are kind of enlightened and overwhelmed by the opportunity but its’s one step towards human unemployment. Volvo’s XC90 SUV is also an autonomous car and it’s out on the roads of Pittsburgh for public testing. In collaboration with Uber, they are giving free rides to customers. Now this isn’t dangerous as it seems. The car, even though an autonomous of self-driving, will have a human driver. The driver will be seated in the driver’s seat. The driver can gain control from the car anytime anywhere in case of emergency. Along with him inside the car, will be another person analyzing the car’s driving and processing in real-time and record everything that the vehicle is doing. So, you don’t need to panic that you will be the only one in the car. The car will also be equipped with a number of cameras keeping track of everything outside the vehicle during this test period. The number of cars is limited right now and the Volvo self-driving cars are currently roaming on the streets of Pittsburgh, picking up and dropping passengers. With successful execution both Uber and Volvo may expand their domain. 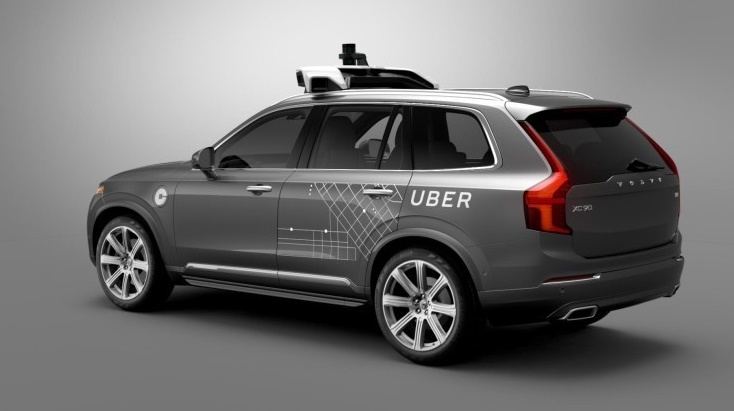 According to reports, Uber has signed up to purchase 100 autonomous Volvo SUVs by the end of the year.